I cannot express in words how great Sameera is! I got full hand (till elbow) front and back and feet for my wedding. Her henna was one of the best parts my wedding ensemble and every single person I have met since I got the henna (including in subways and trains) has praised how talented she is. It was a pleasure working with her. We had so much fun. She came on time, was so nice to me when I got tired and after toiling away for 7 hours, not once did she complain that her hand hurts. She is a woman of great patience, intelligence and talent. Sameera's design and ideas are amazing and truly unique; total work of art. She worked with me to incorporate all the elements that I loved (in her words, trendy with traditional elements). I asked her to have elements that brought India/Bangladesh together and she incorporated both the flags so beautifully. I asked her for bride and groom drawings and she added them immaculately. She paid attention to every single detail and the lines were very tight and prefect. And she did it all freehand. It was simply beautiful. Also, she uses natural henna so it's good for your hands and the color and smell reminds you off childhood henna pastes with no chemicals. And the color comes out perfectly if you listen to her instructions. Thanks Sameera. I cannot say enough times that you are the best! I will be sending every single bride I come across your way! "We had such an amazing turnout thanks to Sameera. I was very nervous for my first big event and she was able to handle a crowd of young eager girls looking for amazing henna designs with ease. She is a true artist and I cannot wait to work with her again! Highly recommend for large or small parties and events. 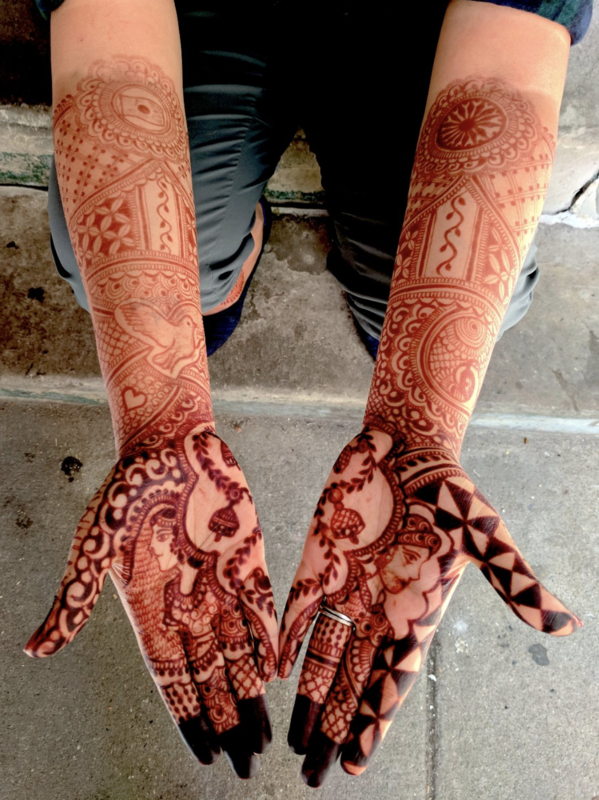 Most importantly, the henna designs she creates are beautiful! Traditional and modern, she can do it all. Thanks again Sameera!" SamArtContour did an amazing job!...my bridal henna came out beautifully. The design was amazingly intricate and the stain set in very well. Very good quality henna she is using. My guests at my bridal shower all loved their henna. SamArtContour did a great job. They were all so happy with the henna they all received. I am a very happy client :)"
"I am greatly satisfied with the professionalism and the work provided. 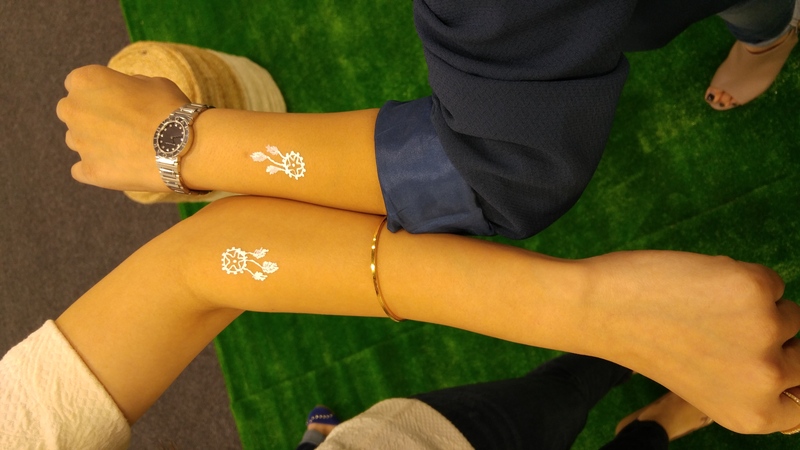 The event was a great success, and the guests enjoyed the glitter and color added to the henna designs. It is something new and different. Thank you so much!" "Sameera is an absolute delight to work with. She is extremely talented at her job. The custom design she created for my bridal mehendi was exquisite and a huge hit among all my family and friends. She was also the favorite and preferred artist (among two that were hired for crowd control) during the sangeet/mehendi night we held for our close family and friends. I will definitely recommend her services to anyone looking for a mehendi artist. Thank you Sameera for all that you did! I truly enjoyed working and spending time with you.